​Zoya Ali is an Auckland-based professional Makeup Artist and Hair Stylist. 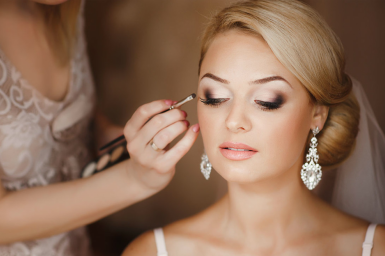 She provides make-up and hairstyling for all occasions, specializing on Bridal Make-up (Indian and Western), Parties and School Balls, Photographic and Fashion Make-up, Corporate Events, Special Occasions and Make-up Lessons. She is also dedicated in providing professional and highly artistic Henna Design Services for all occasion and IPL and Laser Treatments. As a freelance, she offers a fully mobile service and travels all over Auckland and across New Zealand. Zoya clearly portrays her style to be creative and versatile, with her attention to details and friendly and caring attitude which makes her a favourite of her clients and respected by her colleagues. A highly artistic and innovative artist, she creates a bonfire of beauty on every work she crafts.